Aadesh Khamra a suspected Indian serial killer known as the Darzi of Death and the highway 44 serial killer. He has confessed to the murder of thirty-three truck drivers. Khamra says he dumped their bodies in isolated locations and sold off the trucks in Uttar Pradesh and Bihar. Several sources reported he had a high IQ, none of them listed an actual score or included a source to this claim. The robbed goods were sold with the help of local gangs. Aadesh Khamra was arrested on September 8th 2018 by a female officer from the Bhopal Police in Mandideep in Madhya Pradesh's Raisen district of India. Aadesh Khamra was born in Sialkot, Punjab, Pakistan. He was raised by both parents (Age 7) father until adulthood. His father, Gulab Chand Khamra, a retired sergeant in the Indian Army. His mother, deceased, Aadesh (Age 7). He completed 8 years of school, no degree received. He married Sharda, she left and took the children in 2005. He had three daughters and two sons. Prior to his spree he had commited crimes, and served time in jail. In 2007 Aadesh Khamra started his killing spree, during his crimes as a serial killer he was known to rob, strangle, mutilate, and murder his victims. He positioned or posed at least one body after death. At the time of his crimes he was living with his wife and child in Bhopal, Madhya Pradesh, India (until 2005). He was arrested on September 7th 2017, sentenced to awaiting trial at a jail in Bhopal, Madhya Pradesh, India. Aadesh Khamra has been listed on Killer.Cloud since September of 2018 and was last updated 2 months ago. The following serial killers were active during the same time span as Aadesh Khamra (2007-2018). Shiv Sunny, High IQ, national highway 44 serial killer on www.hindustantimes.com, Retrieved on Oct 1, 2018. Vidya Raja, Lady Cop Nabs Bhopal Serial Killer After 3-Day Jungle Chase on www.thebetterindia.com, Retrieved on Jan 20, 2019. 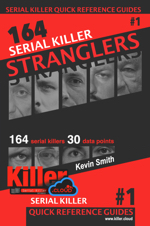 Serial Killers Statistics, charts Aadesh Khamra is included in: Serial Killers By Gender, Serial Killers IQ Level, Highest Degree Achieved, Sexual Preference, Active Serial Killers by Year and Statistical Boolean Questions.